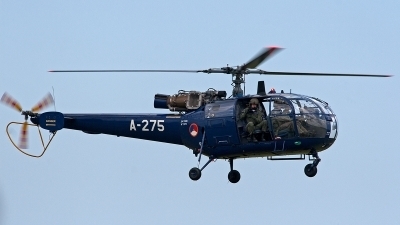 On her final flight before retirement this Alouette did a very low pass overhead. 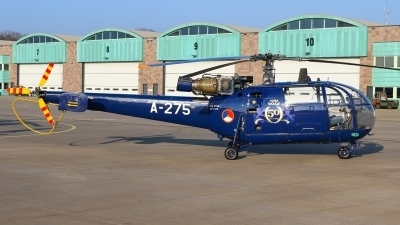 Less than 24 hours later the other 2 Alouettes were also withdrawn from use, marking the end of 51 years in RNLAF service. 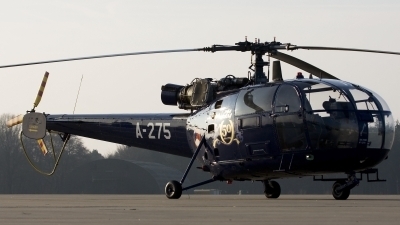 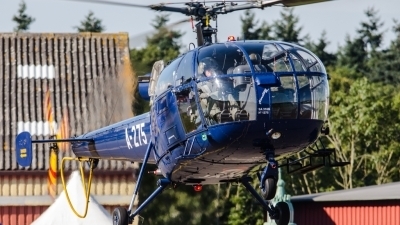 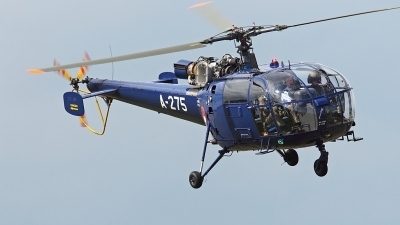 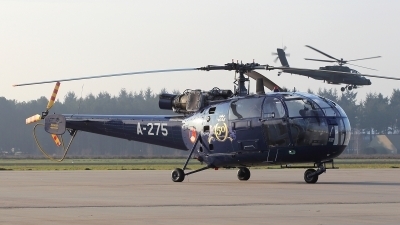 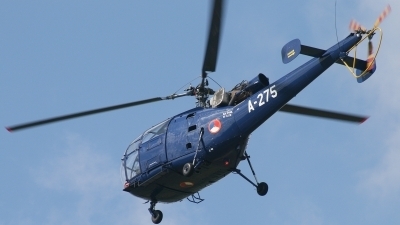 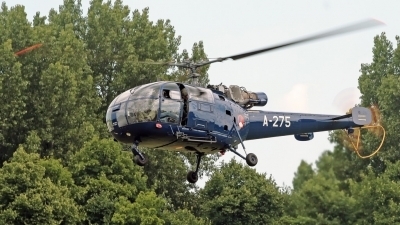 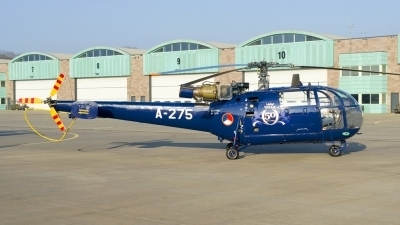 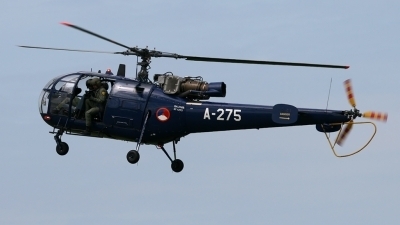 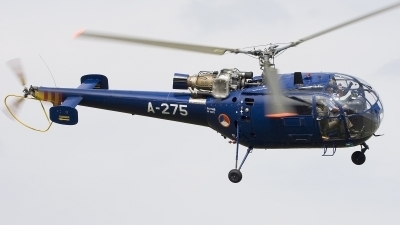 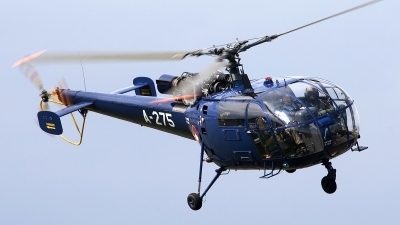 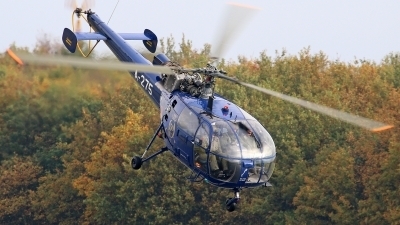 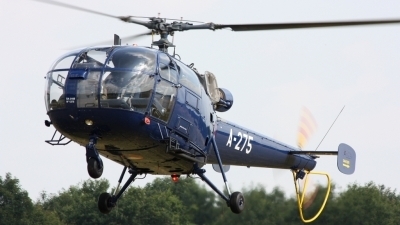 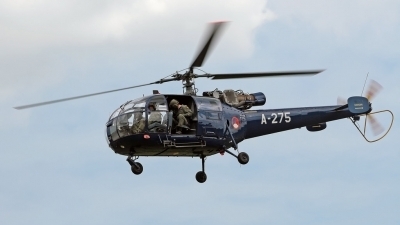 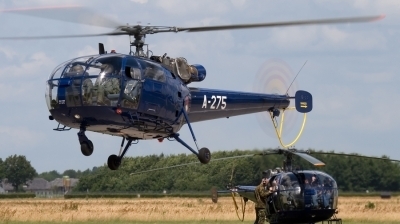 50 years Alouette III anniversary markings. 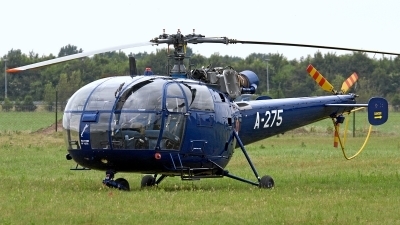 After 51 years become this reliable workhorse decommissioned. 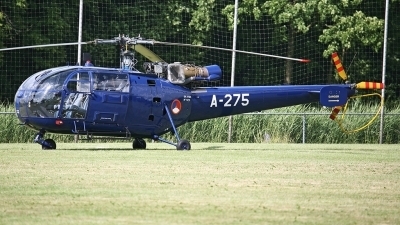 The RNLAF Aloutte III helicopter leaving service after 51 years of operations! 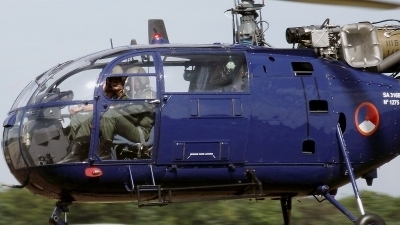 Job well done BlueBirds! 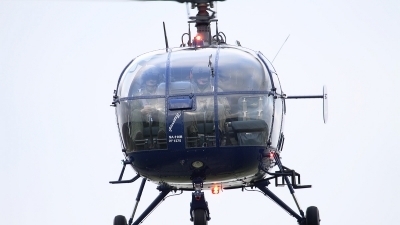 A nice turn and the crew is waving. 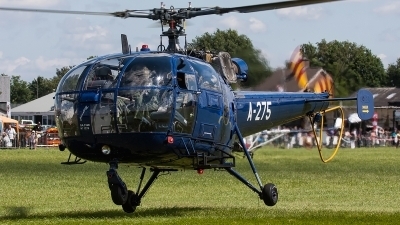 Departing from Leeuwarden and saying goodbye to the numerous spotters that where at Leeuwarden that day. 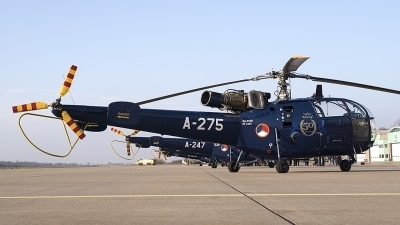 In service with the RNlAF for more than 45 years now and still going strong. 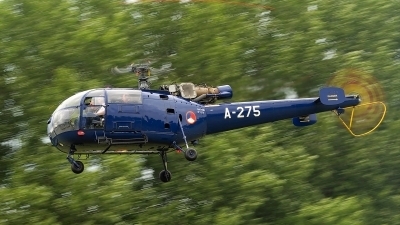 A local flight during the "Luchtmachtdagen Volkel"